USAA is opening its membership to include a new section of the military population. The bank, insurer, and financial institution has long since been available to active-duty Servicemembers, National Guard, Selected Reserve, and officer candidates, as well as members’ spouses and children. After anyone in these groups joins USAA, their spouses and children are then eligible to enjoy as well. Adding these former Servicemembers and their families could add 3 million potential new members to the pool of possible USAA customers. 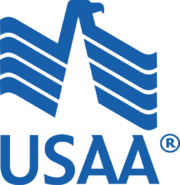 United Services Automobile Association (USAA) is a Fortune 500 financial services company that was originally founded in 1922. According to the FDIC, as of June 2008, the bank held over $27.3 billion in total deposits in more than 3.6 million accounts. As of 2005, USAA had more than $96 billion in assets under management in its investment, financial services, mutual fund group. USAA employs more than 22,700 personnel throughout the United States, primarily at its headquarters in San Antonio, Texas. Excellent! I love USAA and recommend it to everyone who is eligible. Hopefully more people will take advantage of their services. I agree. I’m a huge fan of USAA and their products. I love having everything visible to me online in a single location.